Korean photographer Kim Kyung-hoon and his colleagues at Reuters have won a Pulitzer Prize in the Breaking News Photography category for their photos of Latin American migrants on the U.S. border. The Pulitzer committee on Monday said the team won the award for "a vivid and startling visual narrative of the urgency, desperation and sadness of migrants as they journeyed to the U.S. from Central and South America." Kim is the first Korean to win the prize. 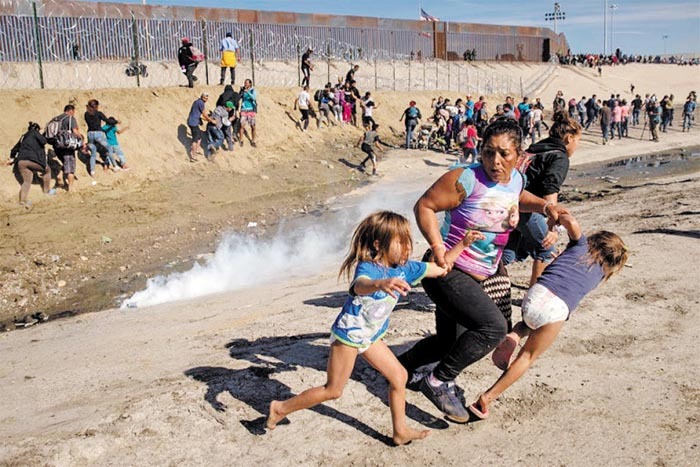 His prize-winning picture shows two small migrant girls in diapers and their mother running away from tear gas near the U.S.-Mexico border. "I felt by intuition that it would be the most important photo of the day," Kim told the Chosun Ilbo from Tokyo. "The mom in the photo was wearing a T-shirt printed with characters from 'Frozen.' I watched the movie tens of times when my daughter was around the same age as the child in the photo, so I immediately empathize. The T-shirt seemed to symbolize the family's American dream." Kim first became interested in photography when he joined a photography club in high school. He dreamed of becoming a photojournalist when he saw the famous Robert Capa poster of a dying soldier. 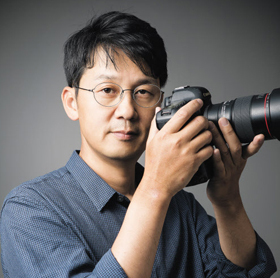 After studying photojournalism at Chungang University, he started his career at the Daily Sports in Seoul in 1999. In 2002, he moved to Reuters and is currently working at the Tokyo bureau.